This random generator will create unique legendary and/or magic weapons, each with its own randomly generated history. There are no stats – if you need them, make’em up! Please let me know if you have any questions about the generator. You find [Number of AND Type of weapon], made of [Material]. It [Craftsmanship]. 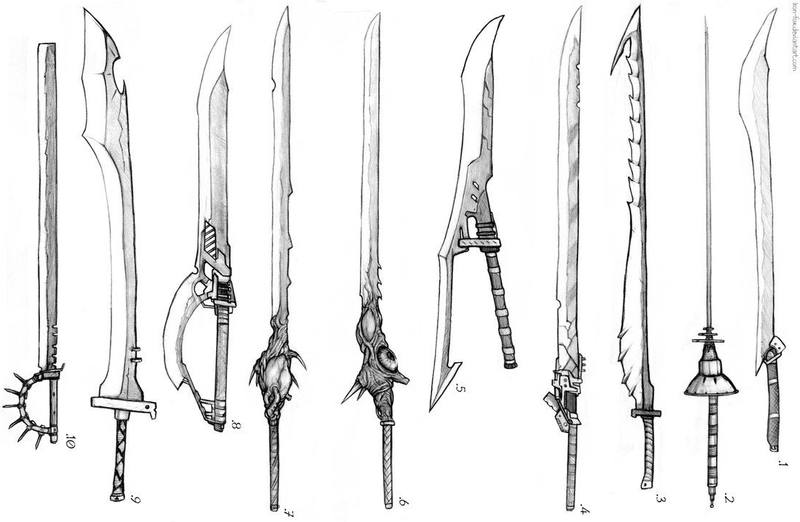 Its blade/body [Body] and its handle/haft [Handle]. It [Aura] in the presence of [AuraTrigger], and when striking in combat it [AuraEffect]. This weapon [Age], and was created by [Creator] for the purpose of [Purpose]. Its last known owner was [Owner], who used it [Usage].